Many IT people have to wear different hats. Sometimes they have to be hardware maintenance engineers, other times they have to be website developers, and yet other times they have to be database admins. One of the most difficult jobs when doing database administration is the myriad of tools available on each of the different systems. One of the most popular open source databases is MySQL, and along the way, MySQL has provided tools for database administration. These included tools to manage the server, view the data natively and migrate data from another source to MySQL. These tools worked well up until the introduction of MySQL Workbench, when all of these separate tools were combined into one interface. These tools may work on Windows and Linux, but they have one major shortcoming: they do not work well with a Mac OS X Server. If you try to connect to a MySQL database running on an OS X Server, you will not be able to do anything, which defeats the whole purpose of being able to administer the database. There is an answer to this issue: Sequel Pro. 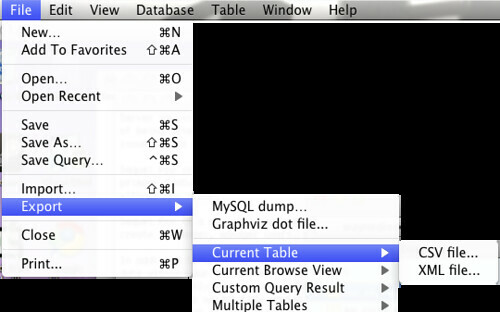 Sequel Pro is an open source MySQL database administration tool. Its best feature, to me anyway, is that it will connect to a Mac OS X Server without any issues. 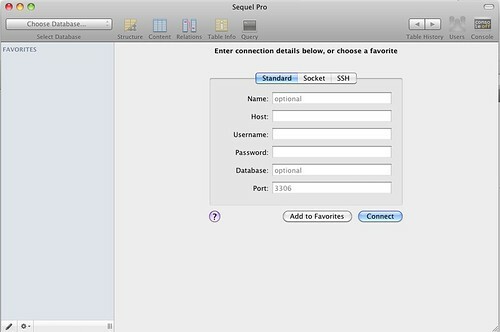 Sequel Pro is a full-fledged MySQL administration tool. 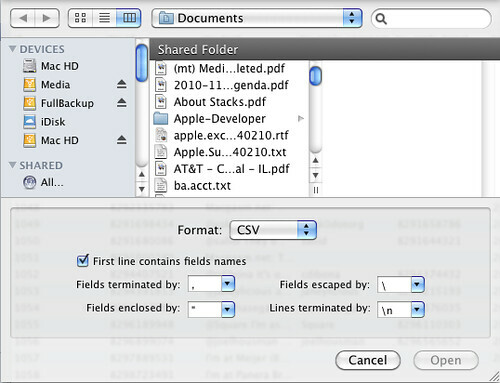 It allows you to create databases, manager users, and even export your database for backup. When you first startup Sequel Pro, you are presented with a connection window. You have a couple of options when connecting. If you are connecting to a database within your own network, you can just use the standard connection. However, if you are connecting over the Internet, you should use SSH, if your server is setup for this. In addition to creating a database, you are also able to directly edit the data within your databases. This is not possible on a Mac using the MySQL tools. The only way to update data using the MySQL tools is through an SQL statement. As we database admins know, we always write those perfectly, so there is never an errant character in our SQL strings. Eliminating this dependence on using SQL strings to update data is a huge win for Sequel Pro. One of the biggest jobs for a database admin is creating and maintaining databases for their users. This is easily accomplished with Sequel Pro. Creating a database is as simple as clicking on ‘Add Database’ in the window drop-down or by going to ‘Database’ -> ‘Add Database’. I recently moved servers for my web hosting. One of the toughest things, or so I thought, would be to move the databases from their previous server to the new server. With Sequel Pro, this was actually quite simple. There are several export options. The option that most users are likely to use is exporting to a MySQL file. This may be for backup, or it may be used in order to transfer servers. There are other options for export as well. You are able to export the current browse view, current query results, and even multiple tables to CSV or XML format. When I transferred servers, I used the Export as MySQL Dump option. As with exporting a database, importing is just as easy to accomplish. It’s as simple as going to ‘File -> Import’. A dialog box, similar to the one below, will appear. You are given a few options with importing, but while you can import CSV and SQL files, you cannot import XML files. Sequel Pro is chock-full of different options for any level of database administrator. 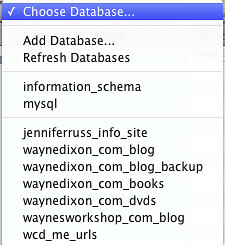 I would recommend that every administrator who uses a Mac and must administer MySQL databases checks out Sequel Pro. I know I will not be using any other MySQL administration tool. It sure beats out the MySQL Workbench in my opinion. How much would one expect to pay for this polished product? Absolutely nothing—it’s free. It also has the source code available for everybody to download. You will need Mac OS X 10.5 or higher to run Sequel Pro. If you are still on Panther or Tiger, there is a version for you, but it only works with MySQL servers running version 3.23.6 and newer. Therefore, you have no excuse to not test it out.